National Catholic Youth Conference (NCYC) is a conference for high schoolers happening every other year on the odd years. Our next conference will be in 2019. Keep your eye here for more information! Every individual must register through a parish group. 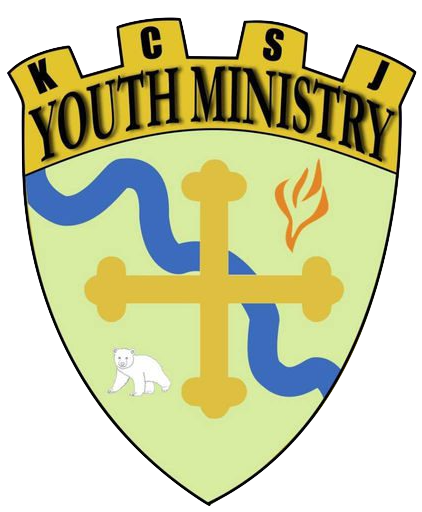 If your parish isn’t taking a group, please contact Katie at kcsjyouthreg@gmail.com to talk through your options. Click here for the diocesan scholarship application. Click here for the NFCYM scholarship application (coming soon). 1. What is NCYC? What Happens? The National Catholic Youth Conference is a powerful, biennial, three-day experience of prayer, community, and empowerment for Catholic teenagers (of high school age) and their adult chaperones. More than 23,000 young people and their chaperones attended 2015 NCYC in Indianapolis. The program includes keynote presentations, prayer, workshops, Mass, and opportunities to participate in reconciliation and adoration of the Blessed Sacrament, as well as recreational activities, concerts, and exhibits. A key component of NCYC is the thematic park which is a blend of traditional exhibit booths with interactive areas featuring service projects, games, recreation, live musical performances, arts, and sports. Cost: Please contact your parish leader for details. 2. Who Can Go to NCYC 2019? Youth: Any young person who is in grade 9-12 in the 2019-2020 school year may attend NCYC. Participants may not go individually, they must register through a parish delegation with a group leader who can be either paid or volunteer. This ensures that leaders know who is going from their parish and that proper leadership and supervision are given. If you decide to lead a group, please check with surrounding parishes where groups are not being organized to see if other youth wish to attend. Chaperones: Chaperones must be 21 years or older. NFCYM requires that there be 2 chaperones for the first 1 to 10 young people. Another adult is required for each 1 to 6 additional youth. For example, this means that a group of 8 youth must be chaperoned by 2 adults, 12 youth by 3 adults, and 17 youth by 4 adults. Scholarships are available from both the Diocesan Youth Office as well as Catholic Youth Foundation USA (CYFUSA). Click here for the diocesan scholarship application. 5. Can I volunteer at NCYC? Absolutely – NFCYM says we will need over 1,000 volunteers to put on this event. There are two ways youth can get involved. Information about both will come out at a later date. Animators take lead roles in general session programming at NCYC as prayer leaders. These are the youth you see on stage leading prayer and worship during the conference. Ambassadors assist at the conference in many ways including introducing speakers and helping with break-out sessions. 6. How do I find more information? Contact your parish leader for more information.